﻿Dr. Ashley T. Haase, Regents' Professor and Head of the Department of Microbiology at the University of Minnesota will deliver the 2012 Bill Narayan Lectureship. His topic, “How the live attenuated monkey vaccines in which we both were interested might work” addresses a key issue central to the development of successful viral vaccines. Dr. Haase received his B.A. in Chemistry from Lawrence College and completed his M.D. at Columbia College of Physicians and Surgeons. He was an Osler Resident at the Johns Hopkins Hospital and began his research in infectious diseases at the NIH, NIAID with Drs. Baron and Kasel. Dr. Haase joined the faculty of Medicine at the University of California, San Francisco (UCSF) where he remained to become a Professor of Medicine and Microbiology. In 1984, Dr. Haase joined the University of Minnesota where he is Department Director and Professor of the Department of Microbiology. 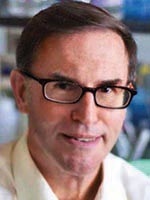 Dr. Haase is an NIH NINDS Javits Awardee and two-time recipient of an NIH MERIT Award for his work on HIV, and a member of the Institute of Medicine of the National Academy of Sciences. Dr. Haase began his lentivirus research studying visna virus with Harold Varmus characterizing its molecular characteristics. He continued this work collaborating with Bill Narayan utilizing Bill’s in vivo model of visna virus in American sheep and co-authored a report in Cell in 1979 on the antigenic variation in visna virus with Dr. Narayan (Scott et al., Cell 18: 321-327, 1979). Since the emergence of HIV as a lentivirus, Dr. Haase has devoted 25 years of his career to investigating human (HIV-1/AIDS) and non-human primate (SIV) lentiviral infections. His laboratory investigates a unique aspect of HIV-1 pathogenesis, to improve treatment and promote prevention of lentiviral immunodeficiency infections. Dr. Haase’s recent work focuses on sexual mucosal transmission and the acute stages of SIV infection, the roles of “resting” and activated CD4+ T-cells in establishing infection, and the mechanisms of the massive depletion of CD4+ T-cells in the gut. Even after antiretroviral- mediated suppression of HIV-1 replication and relief from the chronic state of immune activation, recovery of naïve CD4+ T-cells is slow and incomplete. In a recent report in PLoS Pathogens entitled, “Lymphoid tissue damage in HIV-1 infection depletes naïve T-cells and limits T-cell reconstitution after antiretroviral therapy”, Dr. Haase’s group tested the hypothesis that naïve T-cell loss in HIV-1 infection is caused in part by damage to the lymphoid tissue (LT) fibroblastic reticular cell (FRC) network that restricts access to critical factors required for T-cell survival. Results from these studies indicated that restricted access to interleukin-7 (IL-7) was responsible for the lack of naïve T-cell restoration. Collagen deposition and loss of the FRC network contributed to dysfunctions in IL-7 signaling. Conclusions from the studies suggest early initiation of highly active anti-retroviral therapy and propose the use of adjunctive anti-fibrotic therapies to improve immune reconstitution. These important studies from the Haase group were selected by Faculty of 1000 (PLoS Path. 8(1): e1002437, 2012). In addition, his laboratory is investigating sexual transmission of HIV, the dominant route of transmission globally, using the SIV rhesus macaque model with the goal of developing effective vaccines and microbicides. The ISNV congratulates Dr. Haase on his outstanding research and scientific leadership and is proud to host him at our meeting.